Half man, half squirrel? Some of us are.You can buy the shirt here. You can buy the hoodie here. Also available as a mug and a tote bag in the gift shop. This is a great squirrel shirt for men and the people who love them. Whether you're a squirrel lover or just a joker, this shirt fills that need. The dynamic lettering and duo-tone coloring ads interest to what would otherwise be a simple text-based squirrel shirt. 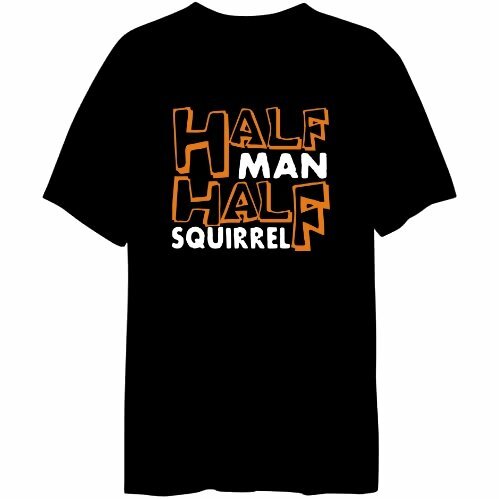 Also available as a "Half man, half squirrel" hoodie.